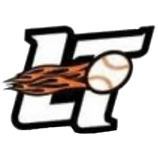 Company logo and hyperlink on LTRC Baseball Sponsors page. Company promotion on LTRC Baseball website and social media once during the season. Banner with company logo displayed at sponsor team’s games. 8x10” Team Photo with team holding company banner.